The high jump will be no different, but it will be for even just winning the Outdoor Heps title. The top 10 athletes in this event are separated by less than 3 inches. 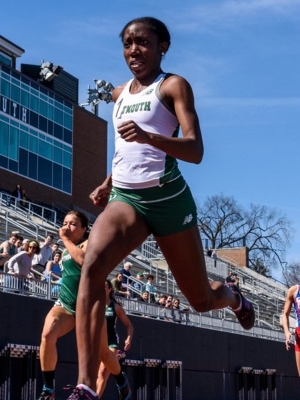 Dartmouth’s Kaitlin Whitehorn has been in this position seven times before across indoors and outdoors, and five times she’s walked away with the conference title. 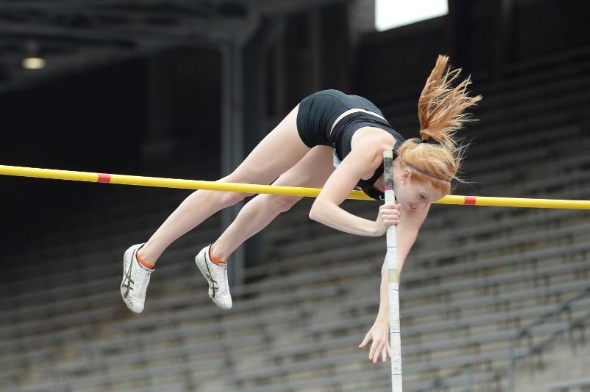 She cleared 6-feet indoors at Indoor Heps. Can she do that this weekend? If she could, Whitehorn would be the third woman in history to do it at a Heps championships. But that might be putting the cart before the horse as she will be pushed by many other athletes. Harvard’s Allison Morrison and Brown’s Shanelle DeJournett are within an inch of Whitehorn going into the meet. Brown has two other scoring threats in the high jump: Morayo Akande is an Indoor Heps champion by besting Whitehorn in 2014, and rookie Nicie Janell Grier-Spratley is a top 3 scoring threat. Morrison joins Princeton’s Taylor Morgan as heptathletes who could double up in the high jump and score for their teams in both events. Other scoring threats include Cornell’s Kate Gulbrandsen (the 2016 Indoor Heps runner-up), Princeton rookie Nnenna Ibe, Harvard’s Raegan Nizdil, and Dartmouth’s Maria Garman. This entry was posted on Tuesday, May 3rd, 2016 at 7:00 pm. It is filed under Heps Champs, Spotlight, Team Previews, Women. You can follow any responses to this entry through the RSS 2.0 feed.